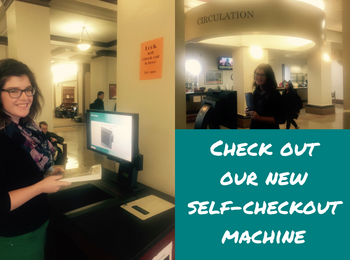 We're happy to announce that Ellis Library has a fully functioning self-checkout machine! It's a quick-and-easy way to check out books and other items. How does it work? Simply swipe your student ID and scan your item. The screen shows the due date and gives you the options to print or email yourself a receipt. Where is it? Right across from the Circulation Desk by the North Door on the main level of Ellis Library.